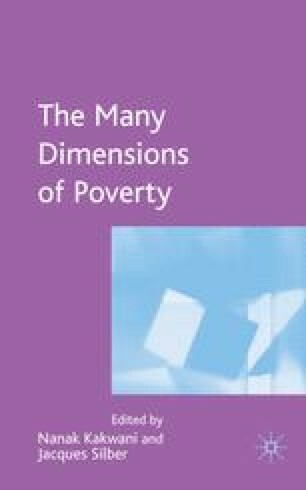 Conceptualizing poverty is an extremely complex task, since, as is now widely acknowledged, it is a multidimensional phenomenon. When poverty is spoken of, reference is often made to the lack of or insufficiency of different attributes that are necessary for individuals to reach an acceptable standard of living. In 2001 the World Bank defined poverty along these lines, specifically as material deficiency, weak social relations, insecurity and precariousness, minimal self-confidence, and helplessness.